Residents and business owners in the Edge District have teamed up with urban renewal experts to launch the next MEMFix event, slated for October. The neighborhood's location--situated between a living-working downtown and a flurry of construction in the Medical District--makes it ripe for the tactical work and investor attention. Mine the gap, rather than mind it, is what community leaders, neighborhood residents and volunteers hope to do through the next installment of the popular and successful tactical urbanism event MEMFix. The latest focus area? The Edge District. "There's this funny mental gap across this area of town. 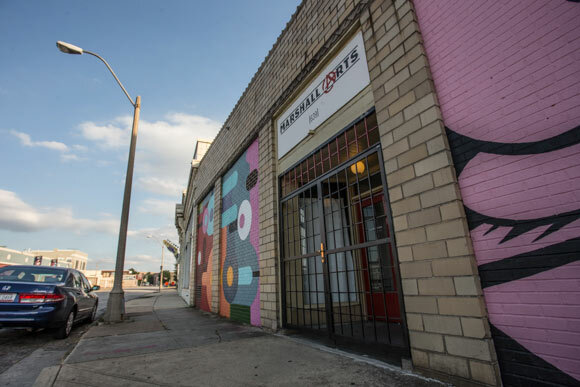 People who spend all their time in the (Memphis) Bioworks Foundation building have no idea Marshall Avenue exists or that there's a craft brewery or Kudzu's right down the street," says Kerry Hayes, a MEMFix planning member. 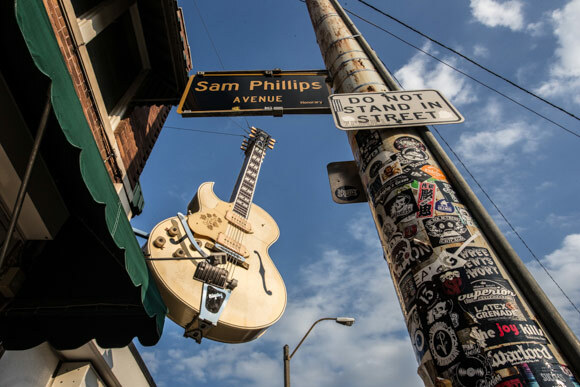 A rough definition of the neighborhood would include the area from AutoZone Park to Sun Studio, bordered by Jefferson Avenue on the north and Beale Street to the south. That points to the Downtown business corridor, its chronic at-capacity residential status and its long-time tourism draw as the other rim of the mental gap. "This should be the route to walk from Downtown to Sun Studio," says John Paul Shaffer, Program Director for Livable Memphis, the organization spearheading MEMFix: Edge District. The October 18 event will focus mainly on the corridor of Marshall and Monroe Avenues, from Kudzu's Bar and Grill and High Cotton Brewing Co. to the west and Sun Studio to the east. Naturally the all-day event, which runs from 10 a.m. to 8 p.m. that Saturday, will see its share of pop-up shops, live music, food trucks and vendors, but true to the project's nature and purpose, all of these elements will be responsive to the neighborhood's personality and needs. "It's important to MEMFix that it can't be something that's brought into the neighborhood and dropped in for the day. There are businesses moving in already, and others who have been there a really long time. This is about raising visibility and showing potential," Shaffer says. MEMFix: Edge District serves as the fourth MEMFix event, not including the grassroots activism triumph New Face for an Old Broad, the first of these community-led neighborhood improvement initiatives, which was held in 2010 along one of the main arteries of the Binghamton neighborhood. These urban revitalization efforts have come a long way. "The New Face for an Old Broad event had no presence from the city. Now the city has a much more open involvement," Shaffer said. And while Binghamton residents and business owners used sweat equity, social capital and bootstrapping enterprise to bring 14,000 visitors to the inaugural one-day event, Livable Memphis has an EPA grant and a few case studies to work with. Livable Memphis, a grassroots coalition out of the Community Development Council of Greater Memphis, wrote a grant to the Environmental Protection Agency to present two MEMFix events, with the purpose of "reducing hazardous air emissions by creating business efficiencies in best management practices and increase neighborhood connectivity using community-led business innovation practices," according to the EPA website. 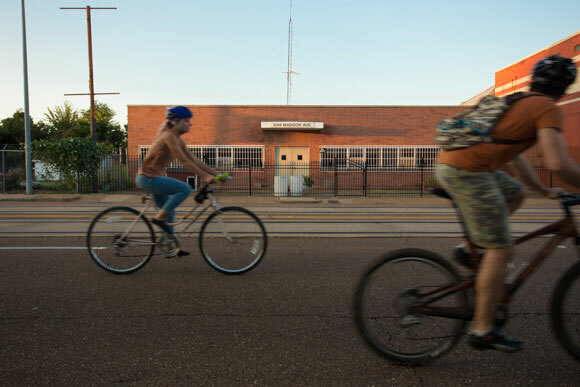 "The idea is to make urban living more compact by making the streets easier for pedestrians and bikes and therefore have fewer cars on the street," says Livable Memphis' creative placemaker Ellen Roberds. The coalition will then create a how-to toolkit along with recommendations to the city in response to the two MEMFix events, including the upcoming MEMFix: Edge District as well as the South MEMFix held last October at the intersection of Mississippi Boulevard and Walker Avenue. That's not to say a similar amount of elbow grease or neighborhood advocacy won't take place this go round, or that it hasn't already. Community leaders, volunteers, local residents and business owners have already rallied around the upcoming event, showing up at meetings, expressing ideas and lending a hand where needed. "Business owners are already building new bike racks, replacing worn-out fences and prepping for murals that will be a part of the event," Shaffer says. "We got pretty lucky with the neighborhood. They're already so focused on production, with fabricators, contractors and artists. They're into building and making things, so they just jump in and say, 'Yeah, I can do that.' There are a lot of talent and resources to pull from." Take the large parking lot adjacent to Kudzu's, lined with a collapsing chain-link fence. "Kudzu's leases the parking lot, and now that High Cotton is there, it's filling up a lot more. They've all been wanting something done with the fence for a while," Shaffer said. Long-time local property owner and Premiere Contractors owner Mike Todd happened to have some iron fencing laying around, and soon-to-be new business resident Reed Long of Holliday Flowers and Events, Inc., who just happens to be a licensed general contractor, agreed to help. "The neighborhood has been there every step of the way. They are the key player in this," says Shaffer. Other plans include narrowing the Monroe/Marshall corridor to slow traffic, make it more pedestrian friendly and create more efficient on-street parking, and to create green spaces and leave-behind street furniture, landscaping and facade improvements. Neighborhood resources and talents will also help shape the complexion of the event, particularly the types of vendors chosen to fill in the vacant storefronts. "This idea of the Edge being a light industrial center of town dates back to pre-World War II, as it was one of the first developed neighborhoods outside of the downtown core. It had some of the first auto dealerships and car mechanics, and with St. Blues Guitars and High Cotton Brewing, it’s an area of makers. People want to build stuff and sell it directly. So we're trying to cultivate those types of people," says Hayes, Director of Public Relations for Doug Carpenter and Associates. Again MEMFix aims to leverage neighborhood assets, highlight them and augment what’s already happening--whether it's the mainstay gallery Marshall Arts, public art dotting the streets and artists occupying loft spaces; automobile row, filled with mechanics and car services; the club and bar scene, old and new; or the variety of restaurants. "There can be a misconception that we're importing these existing businesses and groups to throw a party and then just leave, and that's not it. We're here to suss out what's already going on and showing promise, how to accumulate more of that and lease it and how to make that grow and make people come back," Hayes says. For those interested in bringing a business to the Edge District, the call to vendors ends Friday, September 12. Applications must be submitted by then. In addition to working with a neighborhood already willing to coalesce around the MEMFix efforts, Shaffer and team have some other efforts whose coattails they can ride, particularly the Urban Land Institute's Daniel Rose Fellowship. The fellowship offers technical assistance on a local land use challenge to four American cities each year. Memphis and Memphis Mayor A C Wharton Jr. were chosen for 2013-2014, alongside Honolulu, Indianapolis and Portland, Ore.
Wharton chose to focus on the Memphis Medical Center as an innovation district in an effort to piggyback on the influx of 40,000 employees and 10,000 students who work or attend school in the area each day. The vision is to create an urban neighborhood with retail and residential options and activities to enliven the neighborhood, ideally spilling over into and utilizing the existing Edge District. "We don't want to change the feel of the Edge neighborhood. It has a wonderful, eclectic collection of residential, commercial and light industrial buildings," says Reid Dulberger, Chief Economic Development Officer of Memphis and Shelby County and President of EDGE, the area's economic development growth engine. "We anticipate reusing existing structures. There are a number (of buildings) in the Edge neighborhood that could be used more intensely." "There's a lot already going on in the medical district. There's an extraordinary amount of development (by UTHSC, Methodist University Hospital, The Regional Medical Center, St. Jude Children’s Research Hospital, the Memphis VA Medical Center, the Medical Education Research Institute, Memphis Bioworks Foundation and Southwest Tennessee Community College). The Mayor is looking at how to fill in the cracks and make it a vibrant place; how to use the eds and meds anchor institutions and get retail, residential and small businesses; and how to get people out of these literal silos and crosscut across the blight and real disinvestment and get a few blocks repaired and going again," says Hayes, who also serves on ULI Memphis’ executive management committee. With its location, situated between a living-working downtown and a flurry of construction in the medical district; its anchor businesses such as Sun Studio and Kudzu's Bar and Grill; its steady arrival of new businesses like High Cotton Brewing Company, C-Lou Patton’s House and the Dizzy Bird Lounge; and attention from national consultants and experts through the ULI, the Edge District is a palpable choice for shining a spotlight and watching it grow. "As you're moving throughout downtown, it's the next logical place. You're not rebuilding from scratch. The neighborhood is at a tipping point," Hayes says. "If you're looking at cool streets in Memphis with lots of potential, Marshall and Monroe really cry out. There are a lot of vacant, really cool, very sturdy buildings that need some support." If previous events are any indication, the point will tip and the gap will fill. The Broad Avenue facelift brought in $20 million in investments and 28 new businesses, while the Crosstown MEMFix filled seven vacant storefronts. "Anything that leaves a lasting impression . . . can drive attention to and really highlight the neighborhood and leave something behind to build on the momentum," Shaffer says. For more information about MEMFix: Edge District, visit memfix.org, go to the Facebook event page or like the neighborhood Facebook page. Event planners are also encouraging the use of the following hashtags to create awareness of the event and the neighborhood: #MEMFix, #MEMFixedge and #EdgeDistrict.